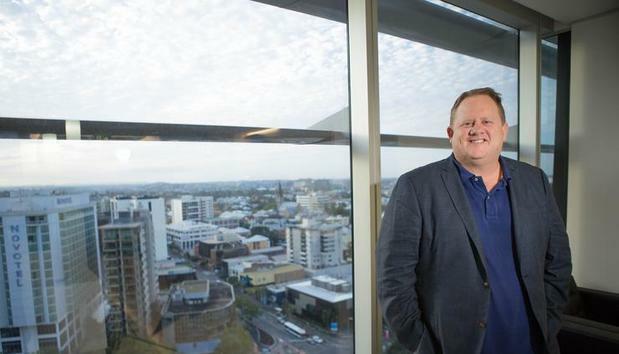 The founder of fibre network infrastructure provider Superloop, Bevan Slattery has stood down from the CEO role. The entrepreneur, who launched Superloop in 2013, today announced he would be taking an executive director at the ASX-listed company, which has appointed Drew Kelton to replace him. Superloop owns and operates 640 km of carrier-grade metropolitan fibre networks in Australia, Singapore and Hong Kong, connecting 275 of the region’s data centres and commercial buildings. In September 2016, the company entered into an agreement to acquire netowrk and cloud services provider BigAir, in a transaction valued at up to $95 million, the integration with which is now “heading towards completion” Slattery said. “Having started the company less than five years ago and heading towards completion of the integration of BigAir, I’m delighted that we’re now moving into the next phase of growth, with me stepping into an Executive Director’s role freeing my up to focus on driving strategy and having a great CEO like Drew join the team to drive the performance of the business,” Slattery said. Slattery, who also founded and floated network as a service provider Megaport, will retain a shareholding of 26.8 per cent, the company said in an announcement this morning. Kelton, who commences the role on July 1, has more than 25 years’ experience in CEO and senior leadership roles at DocuSign, T-Mobile Business, Bharti Airtel, Telstra International, Saturn Global and IXNET. He’ll be enjoying a salary of $500,000, including superannuation, with incentives of up to $250,000 per year. “I look forward to working with the fantastic team at Superloop to further grow the business, leverage the capability of our recent strategic acquisitions, and continue to build on our technical leadership, expanding our microwave and fibre optic networks to offer customers a fully meshed pan-Asian network,” Kelton said. Over the last year, the company has been on an acquisition spree: in September 2017 the company said it would pay $10 million for South Australian fixed wireless internet services provider, NuSkope, to expand its reach in the Adelaide market. Weeks later, the company said it had reached an agreement to acquire local Cisco Meraki, HP Aruba Networks, Ruckus and Cisco partner, GX2 Holdings, and its subsidiaries for $12 million. In April 2017, the company acquired telecommunications infrastructure company, SubPartners for US$2.5 million. SubPartners is set to expand Superloop’s trans-Australian and international capacity, giving the company ownership of international submarine cable capacity as a member of the consortium constructing the INDIGO West cable system (from Singapore to Perth) and the INDIGO Central cable system (from Perth to Sydney). The acquisition strategy appears ot be paying off, in February the company posted a net profit after tax of $1.8 million for the six months ending 2017, a substantial turnaround from the $2 million net loss it posted for the same period the year prior. “Bevan has been a terrific CEO and as the core integration effort with BigAir is nearing completion it was becoming increasingly clear to him that his greatest value add was focusing on the strategic opportunities for Superloop. As the founder of Superloop, no-one has invested as much expertise and time as Bevan to get the company to where it is today,” said Superloop’s non-executive chairman, Michael Malone.